Remember cooking or preparing meals for your little one should not have to be complicated. You can introduce different foods in very varied ways. Here are some suggestions for your baby’s first foods. Baby cereal is one of the traditional first food that you can feed your baby. Why? It is because baby cereal are easy to digest, very mild in flavor, and often packed with essential vitamins that will be beneficial to your baby’s stage of growth. Combine 1 teaspoon (adjust as the baby grows) baby cereal with enough breast milk, formula, or boiled water to achieve desired consistency. Later on, you can add pureed fruits, mashed vegetables or yogurt to baby cereal. After preparing cereal as usual, stir in small amount of pureed fruits or vegetables such as mashed banana or any stewed fruit. Put enough breast milk, boiled water, or formula to create a soft, not runny or thick, cereal. Choose your fruit. Apple, peach, or pear are all delicious when stewed. Wash the fruit and peel it because your are feeding it to your baby. Chop it up into small slices. Place the chopped fruit in a saucepan with enough water to prevent burning. Bring to a boil and simmer for a few minutes or until soft and tender. Puree the stewed fruit in a food processor or blender. Add a bit of boiled water if necessary. Clean and wash rice thoroughly. Put in a saucepan with enough water. Simmer in low heat from 10 to 15 minutes or until you reach a thick and creamy consistency. Another option is to use broth instead of water. Later on, you can add vegetables such as carrots and potatoes while the rice is cooking. Some opt to add a pinch of salt for flavor. In a sauce pan, combine rolled oats and water. Set aside for a few minutes. Bring to a boil. Reduce the heat and simmer for 1 to 5 minutes depending on the amount of rolled oats you are cooking. Crush a quarter of baby cereal biscuit. Mix it with breast milk, formula, or boiled water. Usually babies between 4 to 9 months can enjoy these simple recipes. Always be careful when feeding babies. Make sure that the baby food is not hot and utensils should not have hot spots that might burn baby’s mouth. Vegetables are a great addition to your baby’s diet. For a list of vegetables purees to get your baby started, click here. New textures can be introduced gradually. 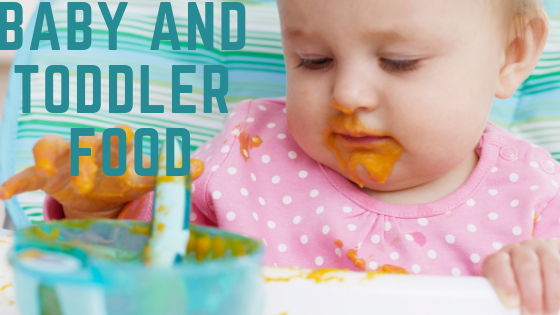 By 9 months of age, you can go from smooth puree to slightly thicker to slightly chunkier. Finger foods can also be introduced to babies between 7 to 8 months. Note that not all babies are the same. If you are not sure what to feed your baby and when to offer finger foods, always consult a professional. Babies can develop allergies when eating foods so if your baby had an allergic reaction, consult a doctor immediately.